Happy Monday, dear readers! Today on the blog I am hosting Meredith Allard's Blog Tour for her new historical fiction novel, When It Rained at Hembry Castle, and one of you lovely readers can win a copy for your personal library! From Meredith Allard, author of the bestselling Loving Husband Trilogy, comes When It Rained at Hembry Castle, a lush historical novel set in Victorian England. Perfect for fans of Downton Abbey, it's the story of an aristocratic family, a mysterious death, secrets that dare not be told, and the wonder of falling in love. When the 8th Earl of Staton dies, his eldest son, the unreliable Richard, inherits the title and the family’s home—Hembry Castle. The Earl's niece, the American-born Daphne, is intrigued by Edward Ellis, a rising author with a first-hand knowledge of Hembry Castle—from the servants’ hall. And Edward, though captivated by the lovely Daphne, has his own hurdles he must overcome. Can Richard come to terms with his title before bringing ruin on his family? Will Edward and Daphne find their way to each other despite the obstacles of life at Hembry Castle? 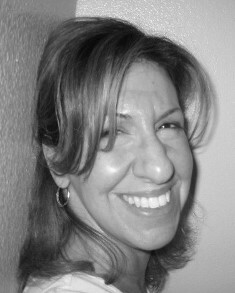 Meredith Allard is the author of the bestselling novels The Loving Husband Trilogy, That You Are Here, Victory Garden, Woman of Stones, and My Brother's Battle. Her newest release, the historical novel When It Rained at Hembry Castle, is a great read for fans of Downton Abbey. 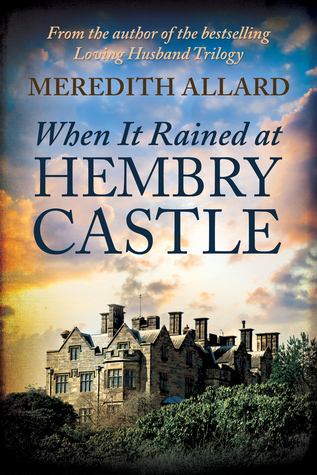 To enter to win a copy of When It Rained at Hembry Castle by Meredith Allard (Paperback or eBook, winner's choice) please leave a comment below and include an email address or alternative way of contacting you should you win. – Giveaway ends at 11:59pm EST on April 28th. You must be 18 or older to enter. – Giveaway is open to residents in the US, UK, and Canada. I am fascinated by castles and I know I'd love to read this! I love Downton Abbey and cried at the end of the series because it was the end! I would love to read 'When It Rained at Hembry Castle'! Oh! I just love this brief synopsis of the book. I have it on my Wish List and would be thrilled to win a copy to read and review. Fingers crossed!! I love stories that take place in old English manors. This one sounds like a goodie! I love historical fiction! The cover is stunning. I can't wait to read this novel. Ok, Downton Abbey, historical romance, mysterious death, and gorgeous cover have all caught my attention. I love historical romance novels, and this one sounds fantastic. I would enjoy reading it. Thanks for having the giveaway.